How many artists have been praised a “punk rock provocateur,” “jazz vibraphone visionary,” and “percussion virtuoso” in the same sentence? 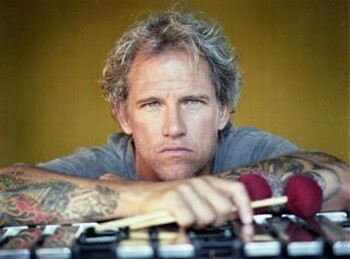 There’s only one: Mike Dillon. Whether through his affiliation with artists like Les Claypool, Primus, Rickie Lee Jones, and Ani Difranco, or collaborations such as Nolatet, Garage a Trois, The Dead Kenny G''s, Critters Buggin or bands he has led, including Mike Dillon Band, Mike Dillon''s New Orleans Punk Rock Percussion Consortium, Billy Goat and Hairy Apes BMX, the Texas-native has set his own standard for 25 years now.